Consumers love online shopping for the convenience and simplicity. But when you’re an e-commerce entrepreneur, the experience is arduous and confusing. Running a successful e-commerce store means doing a boatload of things well. Depending on your business model and niche, some details may be more important than others. That’s why I’ve broken down seven best practices for any e-commerce store to leverage. #1 Offer a Convenient Checkout Experience. If customers reach your checkout page, they usually intend to buy something, so let them buy it. All too often brands shoot themselves in the foot during the checkout process by including additional screens and extra info forms, requiring customers to create an account and not leveraging form fill-in technology to speed up the transaction process. Oh, and if you charge for shipping in any capacity (e.g., orders under $50), don’t make customers get to the final checkout stage to find out. #2 Put Effort into Your Product Descriptions. Everybody comparison shops these days. The average consumer visits three websites before making a purchase. The more sites a consumer visits, the more money they are likely to spend. That’s why, as tedious and time-consuming as writing product descriptions may feel, it’s worth going above and beyond. E-commerce stores with copied, hollow or sparse product descriptions cause visitors to head to greener product-info pastures. Provide more than the manufacturer’s specification to give your product page’s digestible, informative product takeaways, all the dimensions a shopper could want, and related FAQs about the product that aren’t covered elsewhere. #3 Ditto with Product Images. It’s one thing to have inadequate product descriptions. But not having high-quality product images makes it very difficult to convert users. Products should be captured in high-resolution formats, and from a variety of angles. If consumers can’t see what makes your product special, even thorough product descriptions won’t be as useful. Imagine that a store sells cosmetics from home, but the products are available on other sites. A shopper clicks on a lip gloss with an intriguing color name. Except when they arrive on the product page, they’re left with a bunch of text and photos that don’t illustrate the exact shade of the color. What do you think happens next? Yep, they head back to Google searching for the color of the lip gloss. Unless you’re selling heavy-duty appliances, you need to offer free shipping. Among the many stats that should have you well convinced is the fact that nine out of 10 consumers list free shipping as their top incentive to shop online, and 93 percent of digital shoppers are encouraged to buy more products if free shipping options are available. Further. 58 percent of shoppers added items to their cart to qualify for free shipping, so be sure to set a reasonable order threshold to capture interest. As much as you’d like to think that your e-commerce store is wholly unique and unable to be replicated, it’s impossible to prevent potential customers from comparison shopping. However, you can insulate your e-store from comparisons with an in-depth customer review section. Consumers will be drawn to your site for between-the-lines product information they can’t find elsewhere. You’ll also benefit from precious social proof in the process if your products and experience are reviewed favorably. While PC and laptop usage still outpace mobile when it comes to online shopping, trends indicate a change. PC/laptop usage is steadily decreasing while mobile usage is climbing. Two-billion-and-counting people have already used their smartphones to purchase products. And by the end of 2018, mobile phone transactions will make up 27 percent of all U.S. e-commerce sales. Having a responsive e-commerce store isn’t enough. For e-stores to capitalize on mobile purchasing growth, sites need to be designed to not only be compatible with mobile devices but for mobile devices. #7 Invest in Customer Service. The quality of customer experiences brands can offer customers can mean the difference between acquisition and a bounce, loyalty and a one-time purchase. There’s certainly more that goes into the customer experience than customer service, but the two are far from mutually exclusive. Offer phone, email, and live chat support (with a real human). To relay answers to FAQs and other easy-to-answer questions, consider implementing a chatbot on your homepage. Include a thorough, accessible and easy-to-understand FAQ page. Also be sure to monitor your social media channels for direct messages from customers. Don’t worry about offering customer service around the clock as you’re starting out; 24-7 support is only necessary for high-volume businesses or e-commerce stores with global customer bases. Far more goes into building any e-commerce store than these seven best practices. However, they are best practices for a reason. 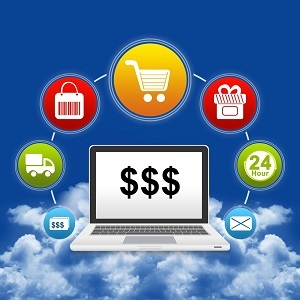 Ignoring these details will inhibit an e-commerce business from gaining traction and growing. Don’t be one of them.